The 2018 One Book, One Philadelphia pick is Jacqueline Woodson's Another Brooklyn. Jacqueline is one of our store's favorite writers of picture books, chapter books, YA, and fiction, and we are thrilled to celebrate her work. Big Blue Marble kicks off our 2018 One Book, One Philadelphia events with a special story time featuring our favorite picture books by Jacqueline Woodson. Bring the kids and discover why Woodson's books have won every possible award, and revel in art by E.B. Lewis, James Ransome, Hudson Talbott, and Floyd Cooper. Order "This Is The Rope"
Join us for a very special One Book, One Philadelphia event Big Blue Marble style - a community read aloud of Jacqueline Woodson's Another Brooklyn. Some of our favorite local writers will be reading aloud the entire book, which should run about 3 hours. One Book, One Philadelphia staff will be on hand to introduce their program, and we'll have plenty of warm drinks and snacks on hand. Another Brooklyn is a short but complex story that arises from simmering grief. It lulls across the pages like a mournful whisper. “For a long time, my mother wasn’t dead yet,” the narrator begins, which perfectly conveys the novel’s suspended sorrow. Now an anthropologist who studies the way different cultures honor their dead, August is an adult looking back at her adolescence in the 1970s. She came to Brooklyn with her younger brother two decades earlier when their father hoped they could all start a new life away from the tragedies that shattered their family back in Tennessee. Sign up to be a reader! 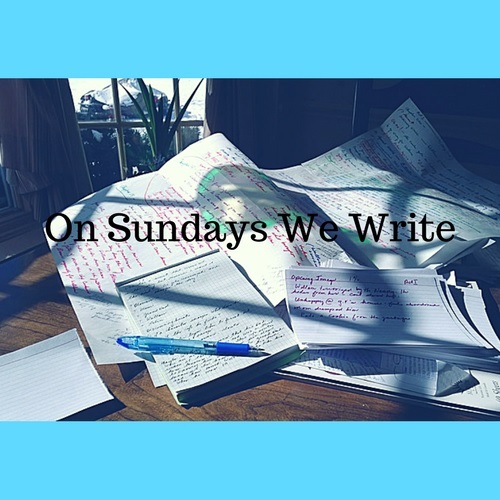 Join us for a special On Sundays We Write workshop In celebration of Audre Lorde's birthday, and of One Book One Philadelphia author Jacqueline Woodson. We'll be doing free-writing to prompts from both authors to help us explore silence, fear, and strength. Advance registration is required. All classes in the series are $20. The workshop leader will be Elliott batTzedek, MFA. Elliott is a poet, translator, teacher, and Events Coordinator at Big Blue Marble. Jamila Latham's Woke & Well-Read meets the third week every month on Tuesday and Wednesday evenings. Each night is free-standing - we meet twice in order to accommodate all our members. Our February selection is the 2018 One Book, One Philadelphia selection, Jacqueline Woodson's Another Brooklyn. Woke & Well-Read will look at life through the eyes of African American authors, exploring some of the legendary greats (that some of us are ashamed we have not read yet), as well as contemporary favorites and writers who are up-and-coming. Our space will be open and respectful and also unafraid of the heated passions that arise when confronting issues faced by African American communities. The book club is open to everyone, and rooted in Black culture. We welcome diversity because we know that diverse ideas can birth fresh answers. As part of Big Blue Marble's One Book, One Philadelphia Celebration, our book club will be exploring contemporary African American poetry about The Great Migration, including work by: Terrance Hayes, Tyehimba Jess, Crystal Williams, Elizabeth Alexander, and Lyra Van Clief-Stefanon. All of these poets were writing in response to The Migration Series by artist Jacob Lawrence. We'll be projecting his work as we read. In Poetry Is Not a Luxury we use the best contemporary poets to explore the most urgent social issues. Each month we focus on a different book and discuss poetry as poets do. We read our favorite poems out loud, listen for sound and rhythm, consider how the poet plays with language, and consider the joys and sorrows in the poems.